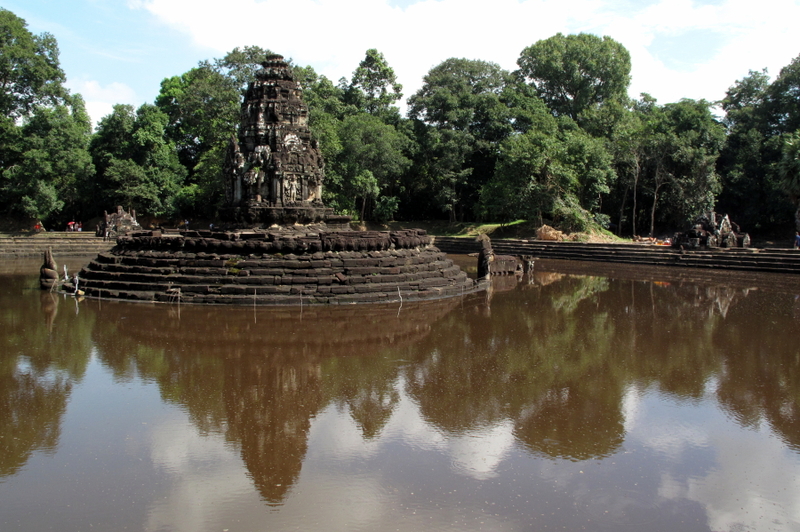 The central sanctuary of Neak Pean, when the pool was dry. Neak Pean is perhaps the most unique temple in the Angkor complex. 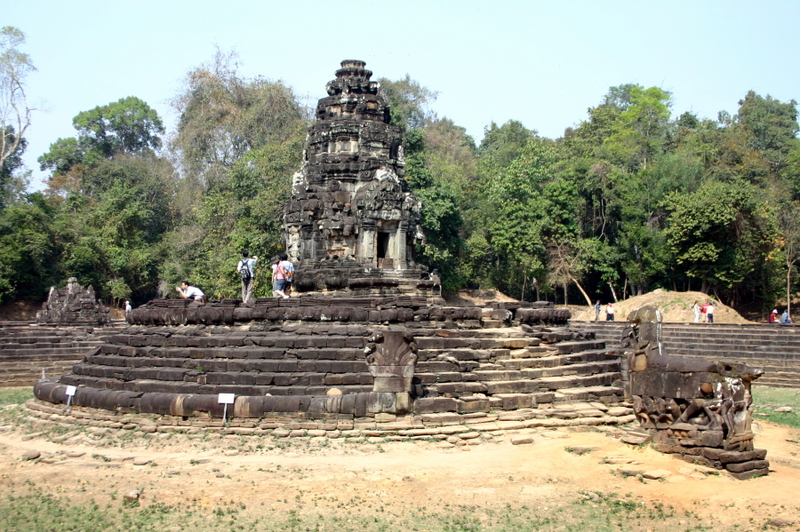 It was built in the second half of the 12th century as part of a complex that includes Preah Khan. In fact, it sat in the middle of a large baray (reservoir) immediately east of the Preah Khan temple, and could only be reached by boat. The outer earthen berm held back the waters of the baray. The sanctuary sits on a round stepped base, which sits in the middle of a square man-made pond 70 meters (230 feet) on each side. Four smaller ponds surround the main lake. Small vaulted chapels back onto each side of the larger pond. Within these chapels the head of animal or human forms a water spout letting water from the large pond flow into the smaller ones. 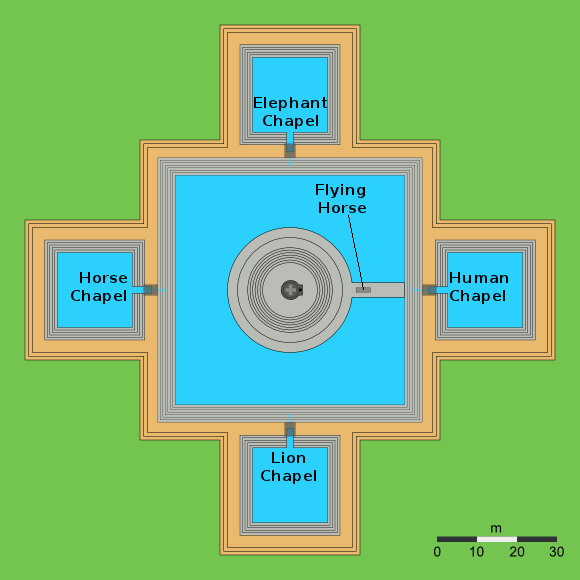 With all the water symbolism, it should be no surprise that Neak Pean was a place of pilgrimage, where people would come to "wash away their sins." Recent studies seem to suggest that the temple served a physical as well as symbolic purpose. It appears to have been a sort of hospital, with places for people to stay and receive treatment. The photo below is from late October 2009, just a few weeks after typhoon Ketsana blew through. As you can see, the rain filled all of the pools, which are usually dry. In fact, even the long-dry northern baray was flooded and you had to reach the temple via a precarious plank walkway.